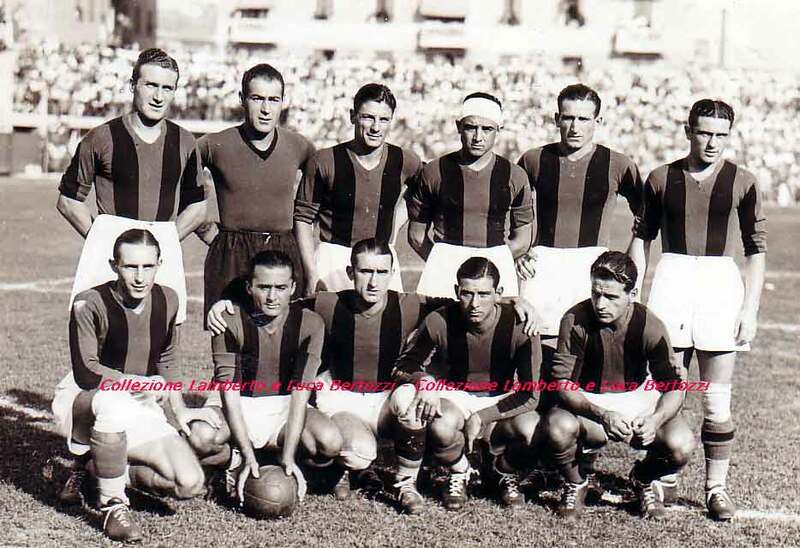 25 November, 1934, the Bologna, newly-winner of the Middle Europe League, played at the Littorio stadium in Palermo ( now it's called Renzo Barbera's ), Sicily with an unsatisfactory race walking. In fact, It just got one win, one tie and four defeats during the first six championship matches.The Bolognese fans were really on the boil and started to dispute the Hungarian coach Lajos Nemes Kovács. So, a watershed was requested and the Bologna wanted to look for it in the island itself. At the beginning of the match, the play was really hard and foul, but the referee Gialma Bevilacqua from Viareggio whistled all trying to have it in hand at last. The Pink-black team mastered the beginning of the match and while all were waiting for it to lead, the Bologna scored the net. 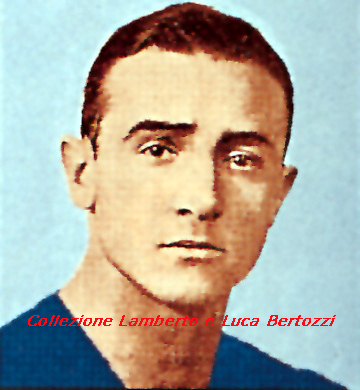 The back Gasperi, played him on the unsual left wing, took advantage of a faulty save by Provera on header carried out by Fedullo and put the ball down the unguarded net. At 16' the Bologna led and thanks to its strong defence, it will keep it till the end of the match. The Palermo, encouraged aloud by its fans, attacked promptly without doing no kicks towards the goal defended by Gianni. On the other hand, the Red-blue Spivach, on a fast counter-attack, had really missed twice the net of the double. Before the end of the first time, we were able to see a kick from afar made by Fedullo at 28' and after 10 minutes Borel I tried a scissor-kick to unguarded goal, but Fiorini and Monzeglio tackled him. The Palermo player fell down, but the referee didin't notice a foul to give a penalty! Borel I himself, just few minutes from the whistle of the first time, missed an easy opportunity to score just two metres from the goal. The second time started with all the Bologna played on the defence and Schiavio himself to create some attack actions. The Palermo was undoubted the host of the field, but unfortunately it dind't manage to organize some dangerous actions that could be ended in a tie. Just 45' , the Palermo put into its game-bag a penalty kicked by Blasevich (66') and De Manzano's shot (83'). They were some shots that didn't worry the canny and watchful Bolognese goalkeeper Mario Gianni anymore. On the other hand, the Bologna put into its game-bag an attack action and a Schiavio's shot (77') and Spivach' s scorcher,luckly,saved by Provera at 89'. Sabrina Montebugnoli- Interpreter and translator in foreign languages(EN/AE, FR, DE, ES) in any kind of fields. Graduated.